Billions of people enjoy music; many feel that they can’t live without it. But my recent research suggests otherwise: music is an evolutionary adaptation, one that helps us navigate a world rife with contradictions. Music’s effect on our brains is closely related to what’s been dubbed “the greatest discovery in social psychology” of the 20th century: cognitive dissonance. Cognitive dissonance is the idea that people experience unpleasant feelings when they either possess contradictory knowledge, or are confronted with new information that opposes existing beliefs. One way we alleviate dissonance is through suppressing or rejecting this contradictory knowledge. 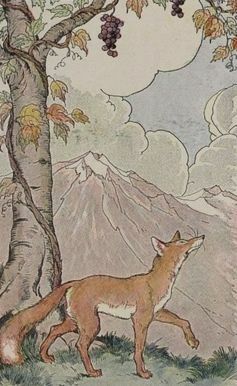 Aesop’s fable “The Fox and the Grapes” illustrates this common human response. 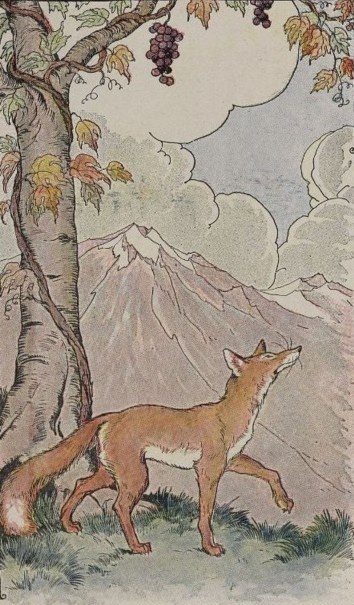 In the tale, the fox is distressed over the fact that he can’t reach a bunch of grapes. Even more unpleasant is the dissonance he experiences: the grapes are so tempting and so close – yet unattainable. During the 20th century hundreds of experiments confirmed this common psychological response. When faced with dissonant thoughts, children, teens and adults all responded the same way: if I can’t have it, then I don’t need it. A manifestation of cognitive dissonance is the rejection of new knowledge. Even some great scientific discoveries have had to wait decades for recognition and acceptance, because they contradicted existing beliefs that people didn’t want to surrender. For example, Einstein didn’t receive a Nobel Prize for his Theory of Relativity – now considered one of the greatest discoveries in the history of mankind – because it contradicted our core beliefs about space and time. So if people are willing to deceive themselves or ignore new information, how has human culture evolved? After all, the foundation of culture is the accumulation of new knowledge – much of which contradicts existing knowledge. Consider language: when language emerged in our species, every new word was a nugget of new information that contradicted an existing idea or belief. A powerful mechanism of the mind must have evolved to enable our ancestors to overcome these unpleasant dissonances that split their world, and allowed them to keep contradictory knowledge – to absorb new words rather than immediately discarding them. Could it be that this ability was enabled by music? While language splits the world into detailed, distinct pieces, music unifies the world into a whole. Our psyche requires both. Several experiments have proven music’s ability to help us overcome cognitive dissonances and retain contradictory knowledge. For example, in one experiment, an experimenter gave a group of four-year-old boys five popular Pokemon toys. Playing with each boy individually, she had them rank, one by one, their preferences for the five toys. Then the experimenter told each subject that she needed to leave for few minutes, and asked him not to play with his second-ranked toy. When she returned, she re-initiated play and found that the formerly second-ranked toy was entirely ignored. When confronted with conflicting information (“I like this toy, but I shouldn’t play with it”), each boy apparently rejected his initial preference for it. But when the experimenter turned on music when leaving, the toy retained its original value. The contradictory knowledge didn’t lead the boys to simply discard the toy. In another experiment, we gave a group of fifteen-year-old students a typical multiple choice exam, and asked them to record the difficulty of each question, along with how much time it took them to answer each one. It turned out that more difficult questions were answered faster (and grades suffered), because students didn’t want to prolong unpleasant dissonance of choosing between difficult options. However when Mozart’s music played in the background, they spent more time on the difficult questions. Their scores improved. Beyond multiple choice tests, we’re constantly confronted with choices in our day-to-day lives – from the mundane (what to buy for lunch), to the major (whether or not to accept a job offer). We often use both intuition and pragmatism when evaluating complex situations, but we also incorporate emotion. And then there are choices related to two universal themes of our existence – love and death – which are inherently steeped in contradictions. With love, we’d like to fully trust it. But we know that to fully trust is dangerous – that we can be betrayed and disappointed. With death, one of the most difficult contradictions of all is our longing to believe in spiritual eternity and our knowledge that our time on Earth is finite. Is it any coincidence, then, that there are so many songs about love and betrayal? Or that we are drawn to sorrowful songs in times of mourning? The idea is that music – which can convey an array of nuanced emotions – helps us reconcile our own conflicted emotions when making choices. And the more diverse, differentiated emotions we possess, the more well-founded our decisions become. Whether it’s choosing to play with a toy or deciding to propose to a boyfriend or girlfriend, our research shows that music can enhance our cognitive abilities. Thus, because we constantly grapple with cognitive dissonances, we created music, in part, to help us tolerate – and overcome – them. And this is the universal purpose of music. Dr. Leonid Perlovsky is a Visiting Scholar at Harvard University and a Technical Advisor and Principal Research Physicist at the Air Force Research Laboratory. His research interests include computational intelligence and neural networks; mathematical modeling of the mind and brain including higher cognitive functions, consciousness, emotions; abilities for beautiful, sublime, music; evolution of languages, cognition and cultures. He serves as Program Manager for DOD Semantic Web program and for several research projects. From 1985 to 1999 Chief Scientist at Nichols Research, a $0.5 B high-tech organization, leading the corporate research in intelligent systems, neural networks, sensor fusion, and data mining; previously, Professor at Novosibirsk University and New York University. He participated as a principal in commercial startups developing tools for natural language text understanding, biotechnology, and financial predictions. His financial company predicted the market crash following 9/11 a week before the event, apparently detecting illegal Al Qaeda trades, and later helped SEC tracking the perpetrators. He's been interviewed on radio and TV about the workings of the human mind. Dr. Perlovsky has received prestigious National and International awards, including several Best Paper awards, IEEE Distinguished Member Award, Boston Section 2005; Dr. Charles E. Ryan Memorial Award for outstanding in-house scientific efforts and achievement 2007, Air Force Research Laboratory; International Neural Network Society Gabor Award, 2007; McLucas Award 2007 (the top scientific US Air Force award).